Below you fill find all funeral homes and cemeteries in or near Glens Falls. Popular neighborhoods in Glens Falls include: Fort Ann and Fort Ann (village). Suburbs of Glens Falls: Queensbury, S Glens Falls, West Glens Falls. Glens Falls is also known as: Warren County / Glens Falls city. Their current mayor is Mayor John "Jack" Diamond. Zip codes in the city: 12801, 12803, 12804.
ers can be purchased from one of the local funeral shops we partner with. Some of the notable people born here have been: Jim Duggan (wrestler and actor), J Allard (businessperson), George Hertzberg (actor), Lorrie Moore (writer and author), Rachael Ray (author and businessperson), Jimmer Fredette (basketball player), and David Palmer (baseball player). Glens Falls is home to the following sports teams: Adirondack Red Wings. Glens Falls is a city in Warren County, New York, United States and is the central city of the Glens Falls Metropolitan Statistical Area. The population was 14,700 at the 2010 census. The name was given by Colonel Johannes Glen, the falls referring to a large waterfall in the Hudson River at the southern end of the city.Glens Falls is a city located in the southeast corner of Warren County, surrounded by the town of Queensbury to the north, east, and west, and by the Hudson River and Saratoga County to the south. Glens Falls is known as "Hometown U.S.A.", a title given to it by Look Magazine in 1944. The city has also referred to itself as the "Empire City." It was disclosed by The Roanoke Times & World News on December 12th, 2018 that Catharine Sulzman (Sand) passed away in Rocky Mount, Virginia. Ms. Sulzman was 79 years old and was born in Glens Falls, NY. Send flowers to express your sorrow and honor Catharine's life. It was disclosed on October 16th, 2018 that David Brian Phelps passed away in Zephyrhills, Florida. Phelps was 49 years old and was born in Glens Falls, NY. Send flowers to share your condolences and honor David Brian's life. It was revealed by Statesville Landmark on July 26th, 2018 that Theodore Willing "Ted" Hawkins passed away in Statesville, North Carolina. Hawkins was 82 years old and was born in Glens Falls, NY. Send flowers to express your sorrow and honor Theodore Willing "Ted"'s life. It was reported by Franklin News on June 20th, 2018 that Linda M Higgins (Howard) died in Smith Mountain Lake, Virginia. Ms. Higgins was 80 years old and was born in Glens Falls, NY. Send flowers to share your condolences and honor Linda M's life. It was revealed on May 20th, 2018 that William Raymond Dr Haselton passed on in Point Verdra Beach, Florida. Haselton was 93 years old and was born in Glens Falls, NY. Send flowers to express your sorrow and honor William Raymond Dr's life. It was written by Sarasota Herald-Tribune on May 4th, 2018 that Nancy Horne (Bartlett) passed away in Bradenton, Florida. Ms. Horne was 87 years old and was born in Glens Falls, NY. Send flowers to express your sorrow and honor Nancy's life. It was revealed by Sarasota Herald-Tribune on March 2nd, 2018 that Beverly June Perry (Blanchard) died in Venice, Florida. Ms. Perry was 84 years old and was born in Glens Falls, NY. Send flowers to express your sorrow and honor Beverly June's life. It was noted by Providence Journal on February 21st, 2018 that Mary M "Melinda" Romano (Wood) perished in Greenville, Rhode Island. Ms. Romano was 76 years old and was born in Glens Falls, NY. Send flowers to share your condolences and honor Mary M "Melinda"'s life. It was reported by Salem Evening News on September 22nd, 2017 that Andrew T Sr Chapman perished in Boston, Massachusetts. Chapman was 70 years old and was born in Glens Falls, NY. Send flowers to express your sympathy and honor Andrew T Sr's life. It was revealed by The News Tribune on June 24th, 2017 that LoAnn Lazo passed away in Washington. Lazo was 74 years old and was born in Glens Falls, NY. Send flowers to express your sorrow and honor LoAnn's life. The name is taken from a large waterfall in the Hudson River, located at the southern border of the city. The area was originally called "Chepontuc" (Iroquois; "difficult place to get around"), also referred to as the "Great Carrying Place," but was renamed "The Corners" by settlers. The population was 14,354 at the United States Census 2000 census. In 1766 it was renamed Wing's Falls for Abraham Wing, leader of the group of Quakers that established the permanent settlement. 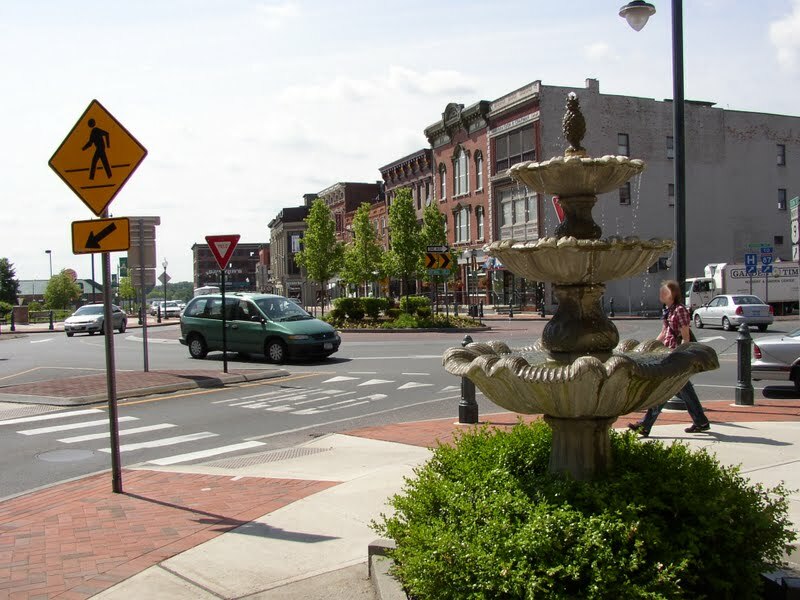 Glens Falls became an incorporated village in 1839, and was re-incorporated in 1874 and 1887. Wing's claim to the name of the village was transferred to Colonel Johannes Glen of Schenectady in 1788, either on collection of a debt, as a result of a game of cards, or in exchange for hosting a party for mutual friends, depending on which local legend is believed. The official website for the city of Glens Falls is http://www.cityofglensfalls.com. In lieu of flowers, memorial contributions in memory of Rev. Robert Clark may be offered to The Church of the Messiah, 296 Glen St., Glens Falls, NY 12801 . Arrangements under the direction of Regan & Denny Funeral Home, 53 Quaker Road, Queensbury. Glens Falls, NY 12801. Arrangements are under the direction of the M.B. Kilmer Funeral Home, South Glens Falls. Online condolences may be posted at kilmerfuneralhome.com. Listing all funeral homes in Glens Falls, New York so you can easily send flowers to any location (same day delivery) or find any funeral service. We work with local florists and flower shops to offer same day delivery. You will find budget sympathy flowers in Glens Falls here. Our funeral flowers are cheap in price but not in value.